Shoppers can now enjoy a new retailer - The Jewel Garden on The Strand National Historic Landmark District in historic downtown Galveston. The Jewel Garden, owned by the Yeatman family, opened in July. The shop carries unique gifts, décor and, as the name suggests, a broad range of jewelry including sterling silver with amber and turquoise accents, rhodium jewelry, glass and handmade jewelry that showcase the talents of designers such as Angie Olami, Holly Yashi, Desert Heart and Ayala Bar. The shop is the exclusive retailer for Ayala Bar, which is designed by an Israeli artist who uses vintage fabrics and Swarovski crystals in handmade jewelry. 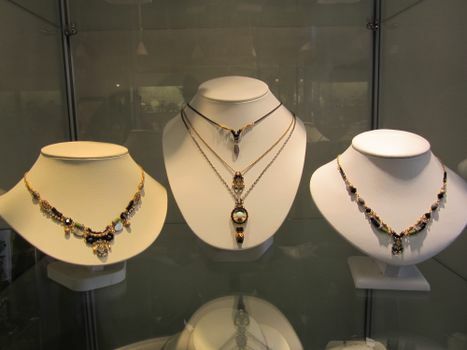 The Jewel Garden is one of only seven stores in Texas to carry Holly Yashi jewelry. From California, Holly Yashi has been creating jewelry since 1981 and her beautiful jewelry expresses her passion for bold colors and timeless elegance. Angie Olami jewelry utilizes silver, gemstones, crystals and ancient roman glass. And Texas-based Desert Heart uses a desert influence and unusual components to create an exceptionally versatile line of jewelry. The Jewel Garden also carries a nice selection of rhodium jewelry that is a popular choice for shoppers because it is nickel and lead-free, hypoallergenic and does not tarnish. In addition to the jewelry, The Jewel Garden has a vast variety of gift items and home décor such as metal wall art, Cloisonné ornaments, pet-themed planters and unique wine caddies. The Jewel Garden is located at 2326 Strand. The Jewel Garden is open Mondays through Thursdays from 10 a.m. to 8 p.m., Fridays and Saturdays from 10 a.m. to 9 p.m. and Sundays from 10 a.m. to 6 p.m. The Yeatman family also operates Santa Fe Trails, 2311 Strand, which specializes in Native American and Southwest jewelry and art. The Jewel Garden is a tenant of Mitchell Historic Properties. The Jewel Garden is the exclusive retailer for Ayala Bar, which is designed by an Israeli artist who uses vintage fabrics and Swarovski crystals for this handmade jewelry.